How to reply to Whatsapp and SMS from the desktop. Pushbullet is a service that lets you easily send files, links, notes, list and more to your Android or iOS device from your desktop or the other way around. 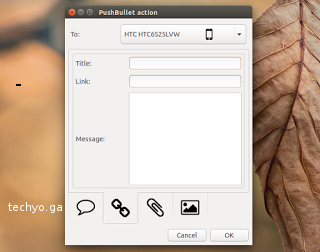 The tool can also be used share the clipboard between your desktop and mobile device.Universal copy & paste, send SMS from the desktop, reply to Whatsapp, Telegram and SMS from the desktop.